ZAMBOANGA CITY, Philippines (Mindanao Examiner / Feb. 17, 2011) - The humanitarian consequences of the conflict with the armed wing of the Communist Party of the Philippines remain a serious concern for the International Committee of the Red Cross. Over the years and across the country, cycles of violence linked with insurgency have resulted in casualties, displacement, and a prevailing state of fear and insecurity among affected communities. "The resumption of peace talks between the Philippine government and the National Democratic Front of the Philippines offers an opportunity to strengthen respect for the civilian population in a country that has struggled with armed violence for more than 40 years," said Jean-Daniel Tauxe, head of delegation of the ICRC to the Philippines. "Legal instruments to protect civilians, such as CARHRIHL and R.A. 9851, are already in place. However, parties to the internal armed conflict need to respect them and hold accountable those who violate these laws," said Tauxe. Similarly, in Central Mindanao, the peace efforts continue with the Moro Islamic Liberation Front and some progress has been achieved in implementation of the peace agreement with the Moro National Liberation Front. In the meantime, many communities still live in fear as internal clan disputes (also called "ridos") continue to cause displacements and loss of lives. Various situations of violence, destruction of property, and kidnappings for ransom are continuing, and pose serious security concerns. "We hope that various initiatives between the government and armed groups will turn into a meaningful reality for thousands of people who need stability and a chance to lead normal lives," said Tauxe. Maintaining dialogue with the population and parties to the conflict thanks to its capacity to access conflict-affected areas is a key element in ICRC's efforts to improve the plight of civilians. The organization also acts as a neutral intermediary in facilitating the handover of captured military and police personnel to their families. In the Visayas region, where armed clashes between the government forces and the NPA result in people's lack of access to basic services, the ICRC provided assistance to remote areas by improving access to water to more than 6,000 people in Negros and Samar. Recently, the ICRC in coordination with the Philippine Red Cross (PRC), distributed half-month food supply to almost 54,000 people of flood-stricken areas in Northern Samar—particularly in communities already affected by clashes. The ICRC continues to monitor the evolution of conflict between the New People's Army and the Armed Forces of the Philippines in the eastern part of Mindanao, and plans to extends its assistance to selected communities particularly affected in their daily economic activities. The ICRC has, on several occasions, provided assistance to families displaced by ridos but its most recent one is in Kabacan, North Cotabato, where it distributed food and non-food items to around 600 families. In Central Mindanao, rice and vegetable seeds, along with farm tools, were distributed in 2010, allowing more than 3,800 families to resume farming and decrease their dependence on loans. Reduced economic pressure gives people better chances for a fresh start. While Sulu archipelago remains off-limits to the ICRC due to prevailing insecurity, the organization responds to the needs of people through local partners. A good example is the water project in Indanan, which is currently providing several thousand people with safe drinking water, implemented by local actors with the support of the ICRC. Mid-February, with the support of the ICRC, the local chapter of the Philippine Red Cross has started distribution of food and basic necessities to 12,000 residents of flooded areas in Sulu, following the survey done by the chapter. Early February, the ICRC turned-over more than 40 kuligligs (two-wheeled tractors) to help farmers who were formerly displaced, cultivate their lands. The machines, which were handed to farmers' cooperatives, were distributed through collaboration with the Department of Social Welfare and Development-Autonomous Region of Muslim Mindanao (DSWD-ARMM) and with the Department of Agriculture. These activities will be expanded in 2011. Fingerlings were also release in the marshlands to balance the overfishing, which occurred in the past two years due to the displacement of the population. Water-network extension projects, which aim to bring drinking water to six barangays hosting 11 thousand people have started in Pikit, North Cotabato, and will continue in 2011. This is the most ambitious water project the ICRC has ever undertaken in the Philippines. In order to improve access to healthcare, the ICRC continues to provide medicines and surgical items to 14 hospitals throughout Mindanao, and finance individual treatments in particularly vulnerable cases. It also facilitates physical rehabilitation and prosthetic support through the Jubilee Center in Davao City, where a gait training area was constructed recently. The ICRC has also begun focusing on the issue of migration, a growing global phenomenon that presents numerous humanitarian challenges. In its first intervention, the ICRC in the Philippines helped renovate the Zamboanga migration centre by improving access to water and sanitation, rebuilding the kitchen, and providing hygiene kits. This should complement the efforts of authorities in improving the situation of migrants, many of whom went abroad from Sulu archipelago due to ongoing violence and economic difficulties. 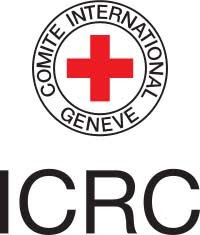 In 2010, the ICRC visited over 72,000 inmates, including those detained in relation to armed violence in order to monitor their living conditions and treatment. It also monitored the individual cases of 691 inmates. Together with the PRC, it also enabled 295 inmates detained far away from home to receive visits from family members. The "Call for Action" process, which addresses the causes and consequences of jail overcrowding, is gradually progressing. This process, launched in 2007, brings together key national stakeholders, with the ICRC acting as a facilitator. Following the example of Manila City Jail, the working group on improvements in criminal justice process was launched in Tacloban. In the mean time, the responsible authorities have expanded the coverage of National TB program from seven pilot detention facilities to all jails in National Capital Region (NCR). The new Bureau of Jail Management and Penology (BJMP) manual sets national standards with regard to living conditions in jails, while about 25,000 inmates have benefited from structural improvements to date. Innovative solutions, such as the use of solar panels to provide electricity for kitchens and other jail facilities, helped reduce maintenance costs and adverse effects on the environment.